Watching Dame Judi Dench in her latest film, you would never guess that she is suffering from a serious eye condition and risks going blind. Dench recently went public over the fact she has age-related macular degeneration and can no longer read scripts or see faces clearly – a brave move for an actor whose livelihood could be threatened. She is receiving treatment to stop her eyesight getting worse. But there is a story to tell behind the treatment she’s receiving, one that involves patient safety, scarce NHS resources, the drug industry and the regulators. 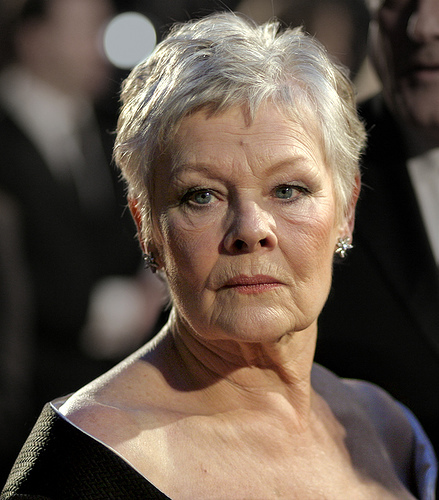 Dench has wet age-related macular degeneration (AMD), which is the leading cause of blindness in the Western world. There are two drugs available for this condition: Lucentis, which costs £740 injection, and Avastin, which costs a mere £20 per treatment. So surely everyone is treated with the cheaper drug, Avastin. But this is not the case because of the regulatory system in the UK. Avastin has not been through the official regulatory process of drug licensing with the Medicines and Healthcare Products Regulatory Health Agency for use in AMD. There have been a number of clinical trials comparing the two drugs and systematic reviews of the evidence. To date both drugs have been found to be equally as effective and safe. Eye specialists are increasingly frustrated and angry because they are seeing their drug budgets eaten up by the costs of treating the 200,000 people with wet AMD. And this is at a time when the NHS needs to find find efficiency savings of £20bn. Ophthalmologists are now witnessing other eyesight saving services, such as cataract surgery being rationed. Professor Dua says this has got to stop and has called on the Government to give guidance to doctors about when they can use Avastin. The problem is that Lucentis is licensed for use on eyes but Avastin is not. But a twist in the tale is that Avastin is a licensed drug but only for use in colon cancer. A further twist is that doctors are not supposed to use an unlicensed medicine if there is a licensed one available. In the private sector things are different. There is widespread use of the cheaper drug Avastin for AMD because people pay for their treatment so costs matter. It is also the favoured treatment in the United States on cost grounds. In some areas of the UK, NHS managers are understandably asking their clinicians to use the cheaper drug. Southampton Primary Care Trust, the body responsible for commissioning eye services is one example. But this action has upset the drug company who manufactures the more expensive drug, Lucentis. However, the reality for the NHS, where budgets are being squeezed, is that money needs to go as far as possible. The whole thing is a mess, and an expensive one at that. So far there’s an impasse. On one side there are doctors and patients saying Avastin should be a special case. On the other side are the regulators, the drug industry and some doctors and campaigners who fear the long term consequences of such an exception being made. Given the importance of the pharmaceutical industry to the UK’s economy is seems unlikely that the Government will want to frighten off potential future investment. The arguments on both sides are legitimate and have clear merits. Given the NHS has finite resources, this issue is going to test the new commissioning landscape. Will commissioners have the guts to make decisions in the interests of their local population when there are such powerful national economic and political vested interests at stake? Health retina image courtesy of Richard Masoner.